Mitja Kovač graduated law at the University of Ljubljana, Faculty of Law (Slovenia). He gained his LL.M. and PhD in the field of comparative contract law and economics at Utrecht University, Faculty of Law, Economics and Governance (The Netherlands). In 2006 he became also a member of the Economic Impact Group within the CoPECL Network of Excellence (European DCFR project). He was a visiting research fellow at the British Institute of International and Comparative Law in London (UK) and at Washington University School of Law in St. Louis (USA). Currently he is an assistance professor at the University of Ljubljana, Faculty of Economics, Department of economic theory and policy (Slovenia), a visiting professor at the University of Ghent (Belgium), at the ISM University of Management and Economics in Vilnius (Lithuania), and a visiting lecturer at the University College Utrecht, Utrecht University (The Netherlands). Besides, he is also a visiting researcher at the Erasmus University Rotterdam, Faculty of Law (The Netherlands) and at the Washington University School of Law in St. Louis (USA). 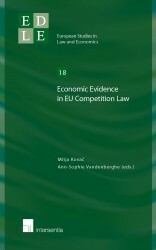 He publishes in the fields of comparative contract law and economics, consumer protection, contract theory and competition law and economics.